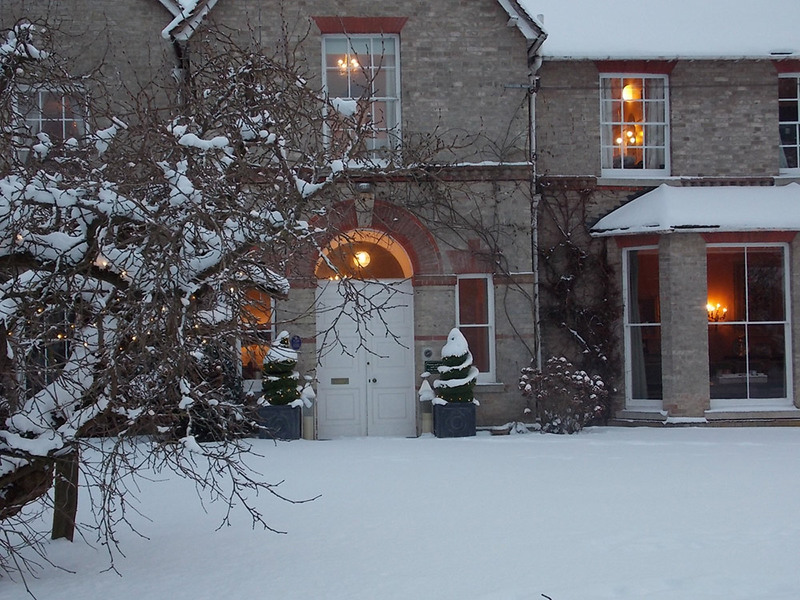 When the snow falls, Rectory Manor becomes its very own winter wonderland! Although of course there can be problems for guests trying to work out the difference where the drive ends and the lawn begins! The Ancient Mulberry Tree - possibly one of the oldest in Suffolk! 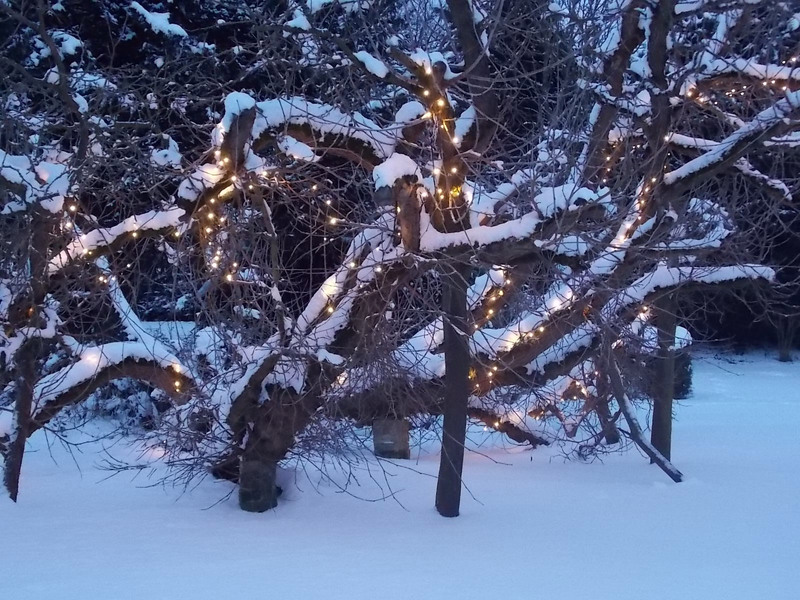 Looking fabulous, covered in snow and dressed in lights! The tree has been repeatedly knocked over in various storms, yet still manages to survive. We now have it propped up on stilts so we can give it a bit of a rest whilst one of the branches becomes a new trunk! 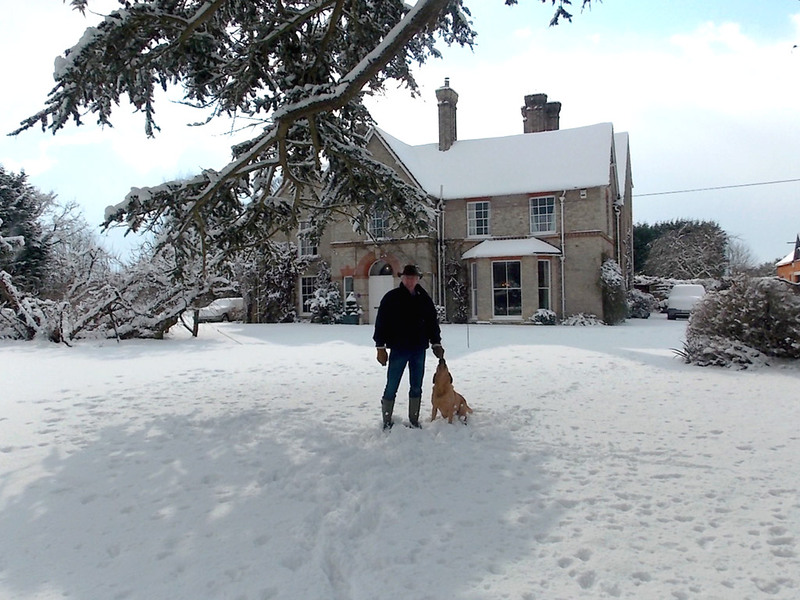 The owner, bracing himself for some serious snow clearing and gritting! Fortunately, log fires abound and all is warm and cosy inside! 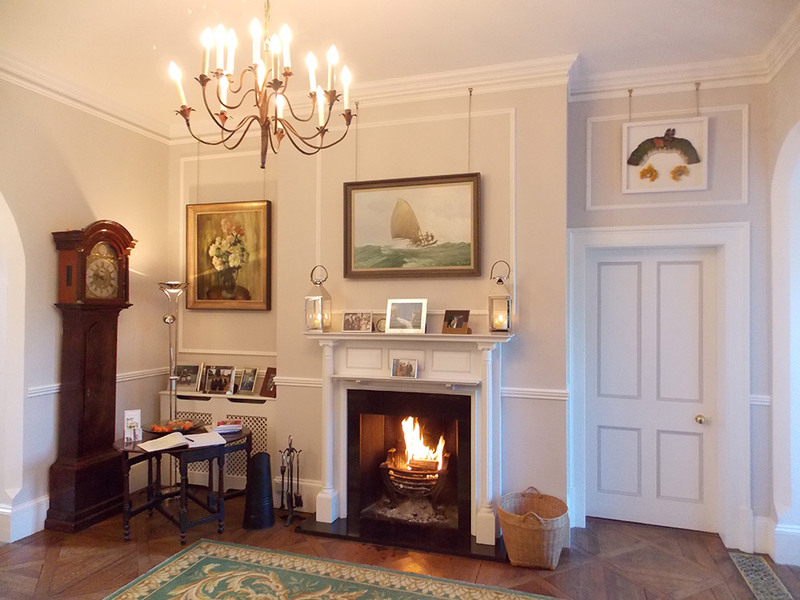 Guests are always treated to a fire in the hall on arrival, except in high summer of course. Please contact us if you have any questions about any of our news.